My favorite (business) things to do include reading, writing, thinking and speaking. Each of these works together to help me 1) understand more about this market and 2) provide me venues for sharing what I find. Both of these, in turn, put me in a position to get feedback on what I share. Each of these also ties into why I started the Government Market Master continuing professional education program. Since the early 1990s my seminars have been showing up on resumes. I produced my first seminar early in 1991 because no one was offering seminars on marketing to the government. So I did. And I have not stopped in the last 25 years. As the market evolved and the marketing tactics altered, my seminars adapted to those changes. In the early days the content was PR, events, direct mail and content. Yes, content. I was fascinated by the hardcopy newsletters mailed out by Cullinet Federal, Bohdan Associates and others. These were full of case studies and "how to" articles which everyone found useful. I was so inspired that I started my own newsletter in 1992. Soon I was writing articles for marketing publications and government trade publications. 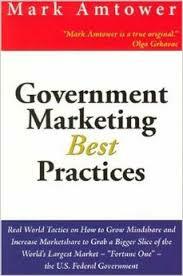 By the early 2000s Government Marketing Best Practices (GMBP) was born- the seminar, not the book. In 2005 the book came, but even then every time I offered the session I had to update it as tactics were continuously evolving. The first "web 2.0" version was in July, 2008. I recorded the session and I'm glad I did, because I predicted that those who did not adopt social media and social networking were doomed. And like GMBP, each of these is updated before each session because I want to make sure those who spend their time and money with me get the best value possible. These sessions are the result of a few of my favorite things: reading, writing, speaking and thinking.